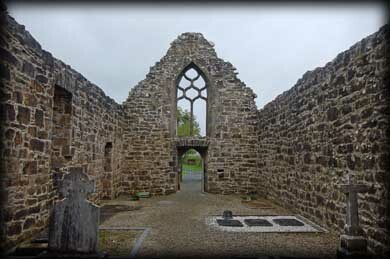 Further north of the Cloister is the Refectory. 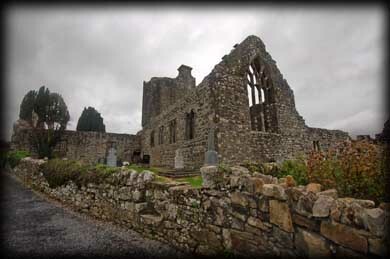 We had a fabulous time at the abbey wandering in and out of all the various rooms. 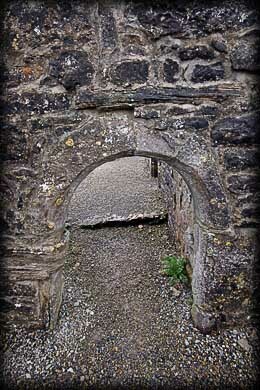 I was totally amazed by all the different doorways leading to the many little nooks and crannies located around the ruins. 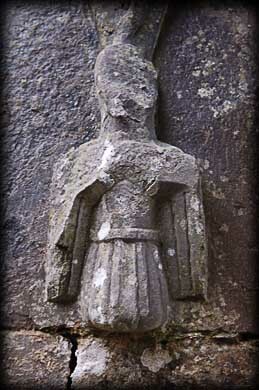 I had seen a photograph of a carved figure of St Francis in the archaeological inventory of Leitrim. I spent quite a lot of time trying to locate this figure in the ruins . 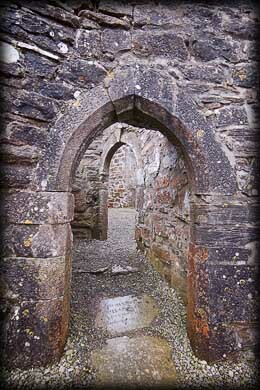 It is found under one of the northern arches of the cloister. 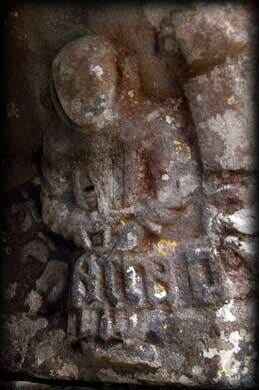 Also in this area is another carved figure, a monk standing in a pulpit. 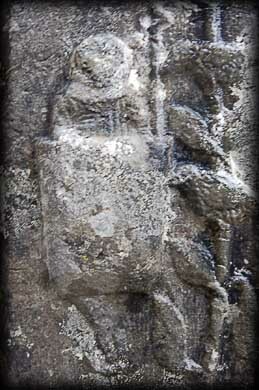 Both of these carvings are featured below. 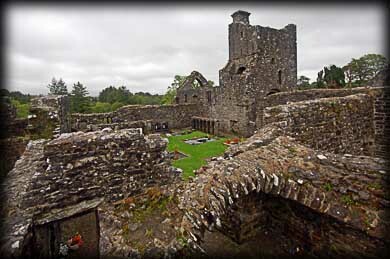 The header image was taken from a hill to the south of the friary. 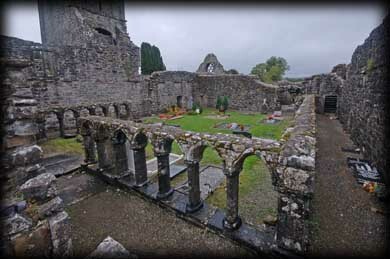 Pictured above are some of the carved figures from the abbey. 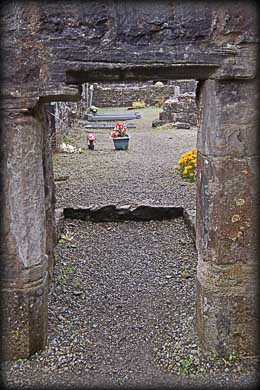 The first two images are said to represent St Francis. 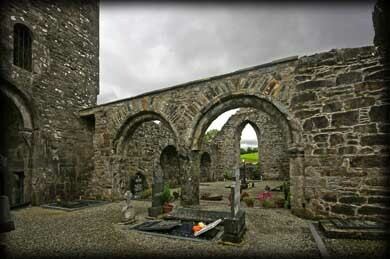 Situated: From Sligo head east on the R286 following the signs for Dromahair. Approx 1 kilometre passed Parke's Castle take a right onto the R288. This brings you into Dromahair. Park at the hotel and walk down behind it following the signs. Or alternatively drive through the town turning right onto the R287. Then take the next right. Discovery Map 16: G 7981 3141. Last visit Sept 2010. Photos: Jim Dempsey, Deb Snelson.